On-Premises advertising easily allows you to offer spontaneous, cost effective, and rapidly changing advertising messages directly to potential customers attracting them to your location. 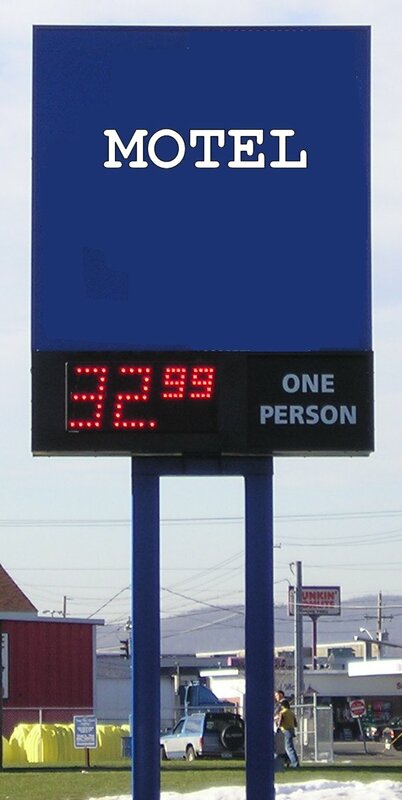 As the most cost effective and spontaneous form of advertising, different messages, graphics, and sign sequences can be displayed over daily, weekly and monthly time periods. Consider the unlimited power of utilizing multiple displays individually controlled from a central point and providing a modern, progressive and unique identity for your business. Our association with all major manufacturers allows us to provide a range of sizes and models that are best suited for your application and budget.